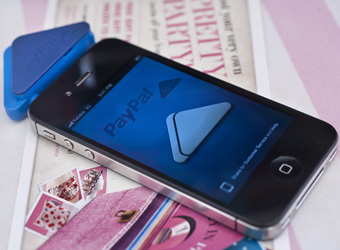 Hot on the heels of last week’s launch of credit card reading payments app ‘PayPal Here’ is the second mobile payments app to launch in a week – Sniip. With near-field communication (NFC) chips not expected to make an impact on mobile payment for a few years, the market appears to be turning its attention to the mobile as a payment facilitator rather than a payment device or mobile wallet. Both PayPal Here and Sniip offer retailers the flexibility to collect payment from anywhere, affording businesses a greater ability to offer customers the leisure of buying products on the go. PayPal’s system is similar to Square, which has been operating overseas for over a year. The iPhone app (an Android version is expected to be released soon) and its accompanying card reader will enable merchants to accept multiple forms of payments via a smartphone, track cash transactions and allows merchants to directly invoice customers. Brad Paterson, head of new ventures, PayPal Asia Pacific, says PayPal Here will have a huge impact on reducing the stress of taking and chasing payments for small businesses and service providers as well as offering more sales opportunitites. PayPal Here is currently available to a select number of merchants participating in an exclusive release of the solution, with general release expected in the near future. Its fee structure is 2.4% plus 30 cents per swipe transactions, and 2.9% plus 30 cents per manual key-in or scanned transactions. While not featuring a credit card reader, the other new mobile payments app, Sniip, allows consumers to peruse product details, purchase items and choose to pick up the item or have it delivered. The mobile retail platform promises to convert any retailer’s ecommerce setup into an mcommerce setups by linking directly with existing backend platforms and enabling customers to scan QR codes and barcodes to buy items on the spot. Managing Director of Sniip, John Hawker, says the app will give retailers the opportunity to offer a new level of customer service, improve brand loyalty and combine the convenience of mobile transactions with in-store browsing and discovery. “The benefits of the Sniip platform to any retailer are numerous including the ability to trade 24/7 from a physical or “pop up” shop front and turning every point of consumer advertising into a potential immediate sale,” Hawker says. The Sniip app, designed to help retailers up-sell from traditional retail outlets, is available to iPhone and Android at app and free to download. Alongside the launch of Here, PayPal released its bi-annual Australian report into the retail market – ‘Secure Insight: The Future of Shopping‘, revealing that online retail is set to reach $31.7 billion this year. According to the report it is now vital for retailers and banks to connect and facilitate payments through multiple channels to meet changing consumer expectations.